Making your own herbal oil’s and vinegar’s is super easy and well worth the effort. I’ve been bottling my delicious condiments all summer long and it’s time to share what’s in my pantry! When ever you make an herbal oil or vinegar, it’s important to use good quality ingredients and herbs that are clean, mold and dust free. For oil’s, used dried herbs and flowers since they can go moldy in the oil when fresh. You can choose to do an air dry method for the flowers like I did in the edible flowers post or you can speed up the process and use a dehydrator. I love using these Fiskars Fast-prep Herb Shears for quickly snipping herbs off stems like this verbena. I use them for snipping fresh herbs right into the salad bowl too and they can be thrown right into the dishwasher for cleaning. Using the dehydrator, I just lay the verbena leaves flat in the rounds and turn on for about 4 hours. Vinegar’s however use fresh additives and when covering the jars (I use mason jars, pickle jars, condiment jars… yes, I kinda have an addiction to saving jars) place a layer of plastic wrap over the top of the jar before putting on your lid. The vinegar can make metal lids corrode if it comes in contact. Calendula Oil is simply a jar filled with dry petals and enough oil to cover them. I like to use a good quality avocado oil for my oil infusions, it’s mild and takes on the flavor of the herb it’s infused with. The flavor in Olive oil tends to be overpowering and masks the flavor your trying to capture. Lavender and Chamomile Oil is another great combination to try. Set the infusions in a sunny window and let it sit for a couple of weeks. To speed up the process, you can use your slow cooker and place the sealed jars in a water bath (submersed only up the the neck of the jar) for at least 10 hours. Nasturtium Vinegar comes out with a gorgeous pink orchid color and has a slightly peppery taste. Clean fresh Nasturtium flowers to free them of the little buggies by soaking them in cold water and gently shaking them out to dry on a towel. Then loosely stuff a jar with the flowers and a few leaves adding a few peppercorns and a sprig of fresh rosemary. For very large leaves, cut them in half using a good pair of shears like these Fiskars Herb and Veggie shears. These get packed around in my basket when I’m harvesting herbs from the garden, the serrated blades grip the stem when I cut and they come apart for easy cleaning too. Pour white vinegar over top, cover the lid with plastic wrap then screw on the metal lid. Let sit for at least 3 weeks in a cool dark location. Lavender Vinegar is made the same way, but use the stems with the flower buds still intact. Once your oil’s and vinegar’s are infused, strain them through a sieve and store them in pretty serving jars. What to do with all those fine oil’s and vinegar’s once they are done? The most simple is have fun combining them for dipping with a fresh baguette. I was nibbling on sour dough cubes dipped in a Calendula Oil and Lavender vinegar the other day… yum! Use them as a replacement of other oil’s and vinegar’s for salad dressing. Try making a simple salve by using 1 cup of chamomile oil with 1 tablespoon beeswax and 1 vitamin E capsule (pierced and added to oil). Just slowly melt the beeswax and add the oil slowly, mixing it as it hardens up. This is great as a lip balm or for soothing rough hands and elbows. (I got this recipe from Sue Goetz’s book, The Herb Lover’s Spa Book). Try using them in recipes that call for an oil or vinegar and just have fun experimenting with them for a twist in your regular everyday cooking. I love collard greens steamed with a little herbal butter, salt and pepper and a drizzle of the nasturtium vinegar. 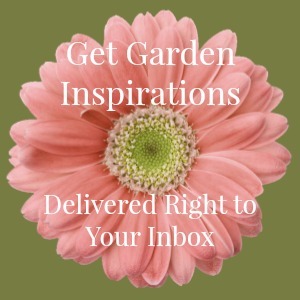 Be sure to subscribe to my monthly-ish newsletter to receive more fun and easy recipes that bring the garden to the table.